Automation is important for all aspects of our lives. Currently, we have numerous software applications that allow for easy automation so as to ensure that the systems fall into their rightful place. 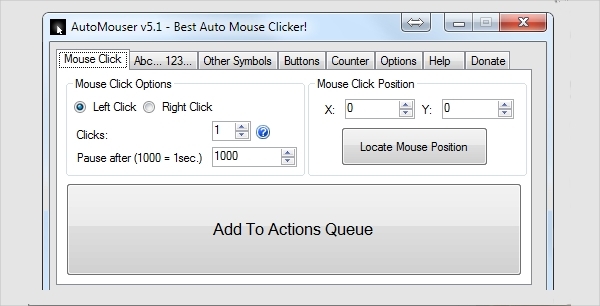 Auto mouse clickers are such software, and they help in making the processes of automation of clicking. In this post, we will review some of the best applications in this category that are available for download by users on different platforms. 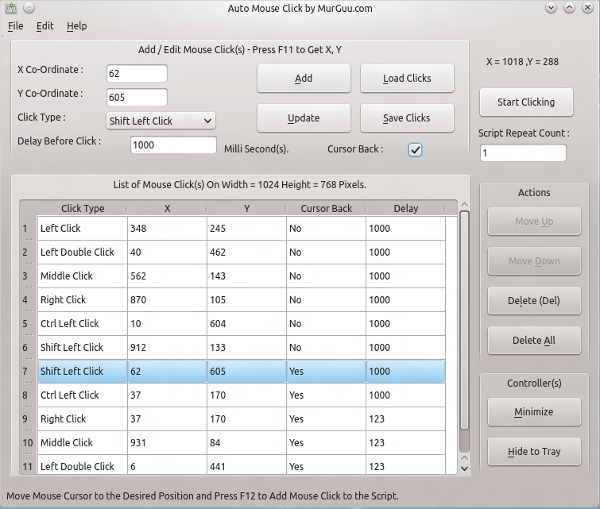 Auto Mouse Clicker is an advanced yet easy to use application that allows for the automation of mouse clicking processes. The application uses a script to store instructions on the pattern to be followed by the clicking cycles. The best thing is that the script can be stored in any location. 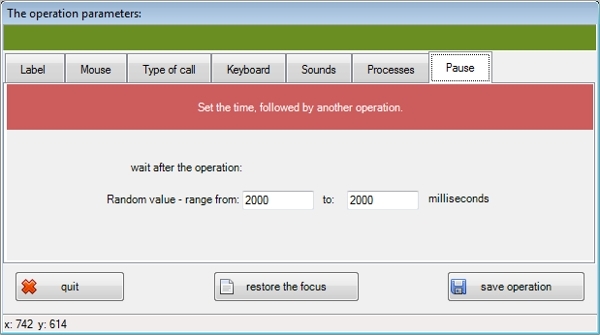 Auto Clicker is a great program that is a dedication in automation of mouse click. The software operates in two modes. In one of the mode, the clicking is in dynamic locations while on the second the clicking is don on pre-selected location. The selection is made through the use of scripts. Auto Mouser is yet another astonishing program that allows users to automated clicking of the mouse as well as the strokes of the keyboard to some desired patterns. The software is absolutely free to use and comes with several other features, and this makes it a comprehensive tool fit for the job. 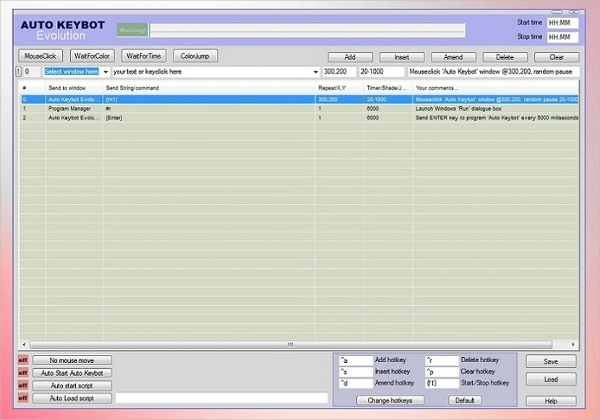 AUTO KEYBOT is a premium set of applications that offer diverse roles depending on the preferences of the user. The software is pretty advanced and offers features that are extremely useful basing on the fact that it was developed to fill the market gap. The software does not require installation. Though the majority of the auto mouse clicker application do not require installation, they still are platform depended as this is just because they are of portable nature. As a result, it is important to keep their platform in mind when it comes to selecting the appropriate software. Linux Auto Mouse Click Software is easy to use yet comprehensive application that uses complex algorithms as well as scripts for the purposes of automation of mouse clicks on the Linux platform. The software displays an elaborate area in which you are required to input the coordinates of locations to click. 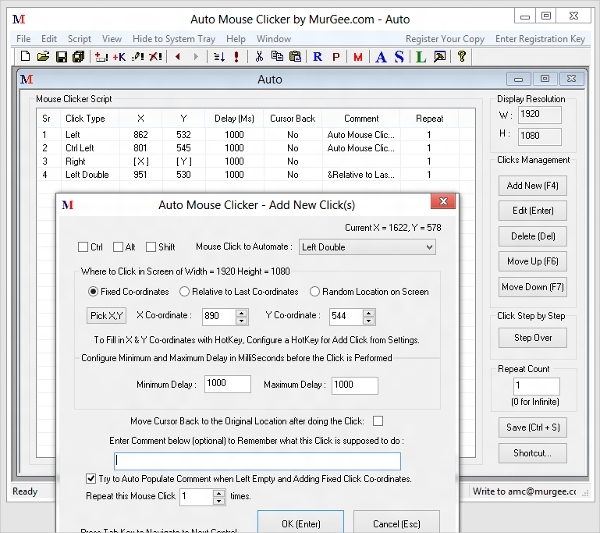 Autosofted Mouse Clicker is an automation software that is designed for the Windows platform. The unique element of this software is the fact that it has the ability to record and playback the pattern, and this is pretty powerful and useful. The application also allows preset clicking. 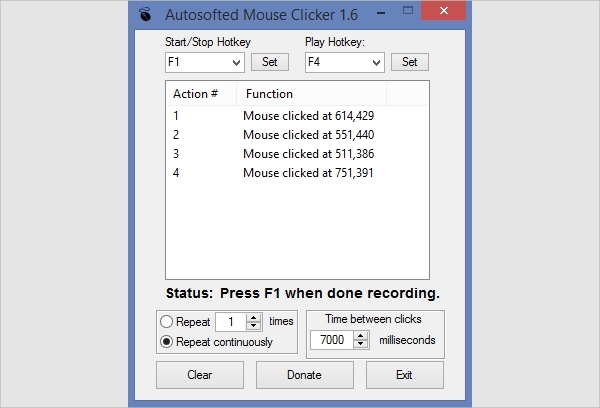 What is Auto Mouse Clicker? Essentially, the majority of the software use scripts to store the coordinates of the locations that the clicking will be performed to and also the time interval that is required. Also, some extra functionalities can be added depending on the application such as double clicking and right clicking. This category like many others have lots of applications that can fit in. However, in this review, we have considered some of the best and the list is not comprehensive. However, from this, you can be assured of getting a suitable application for your use depending on the specific requirements.